Can Stress Cause Dry Eyes? Can Stress Cause Dry Eyes? Yes, Stress Can Cause Dry Eyes? Stress hurts the whole body, including the eyes. 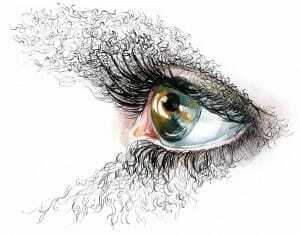 Stress hormones cause blood vessels to constrict, deliver less blood and nutrients to the eyes. Stress Caused Dry Eyes Can Be Chronic! If you are already at a stage where eye drops don’t help. Your eyes hurt. 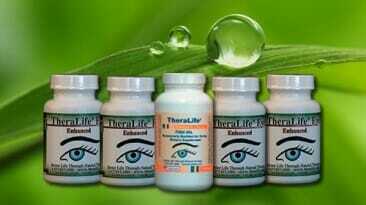 You need help from TheraLife before your cornea becomes damaged. Chronic stress can lead to serious long-term health conditions, including but not limited to: suppressed immune systems; heart diseases; chronic muscle pains; changes in hormone levels that lead to low fertility; weakening lung functions that leave you vulnerable to colds and flu, asthma, and obstructive lung diseases; worsening of skin problems like acne, eczema and psoriasis; and worsening of dry eyes and their painful symptoms. Not much research has been published on the connections between stress and dry eyes. However, we can understand the phenomena in terms of how stress affects the circulatory system. Stress causes the body to produce hormones that increase blood flow/blood pressure that and make blood thicker (raising risk of strokes). As the heart is working harder, the micro-circulation of blood to the extremities such as skin, legs, and arms are decreased. This decrease in blood supply especially affects the brain and eyes. Eyes, being connected to the brain, already have a delicate blood circulation balance. Under stress, blood supply to the brain and eyes are both compromised, so the eyes are hit doubly hard. 1. TheraLife® Eye Enhanced -contains a blend of herbal extracts, vitamins, minerals, and antioxidants that help increase micro-circulation to ocular tissue, improve tear quality, and maintain healthy function of the lens and retina of the eye. This formula is optimized to bring accelerated relief for dry eye discomfort. It has been clinically shown to stimulate tear secretion glands intra-cellularly (from within their cells) to allow you to produce balanced, natural tears from your own eyes. It works from the inside out so that the tear secretion is sustainable throughout the day. TheraLife® Eye Enhanced works without washing away the valuable mucin, lipids, and protein components that lubricate the eye – unlike eye drops applied to the eye’s surface, which can actually strip the eyes of its healthy, natural substances. 2. TheraLife Omega 3 Fish Oil– contains strong anti-oxidants to combat inflammation and thicken tears. 100% Pure, Save and Effective. TheraLife Eye Enhanced Capsules – For those who have an existing dry eye condition and who are already using TheraLife® Eye Enhanced, try to increase the dosage. Drink plenty of water (at least 8 glasses of fluids per day) and exercise often. For first month, try the Chronic Dry Eye Starter Kit. Omega 3 Fish Oil – Pure, safe, effective – molecularly distilled. 100% Contaminant Free. For those who feel tired, have the inability to focus on work, experience insomnia, or report mild depression, try TheraLife® Fatigue to get more oxygen to the brain, be more alert, stay focused at work, and be able to sleep better at night.